We are the manufacturer wholesale with competitive price. Color, Size, Style Can be Customized. Welcome your inquiry ! 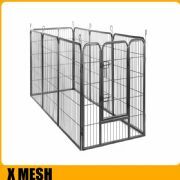 Company: Hebei Qijie Wire Mesh MFG Co.,ltd.